Tessa has confirmed ability as a breeding female. 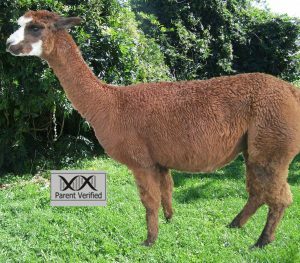 Sired by our black, Huari Lincoln, Tessa has proven that although she appears to be (and is registered as) a dark brown, she is in fact, a rose grey. 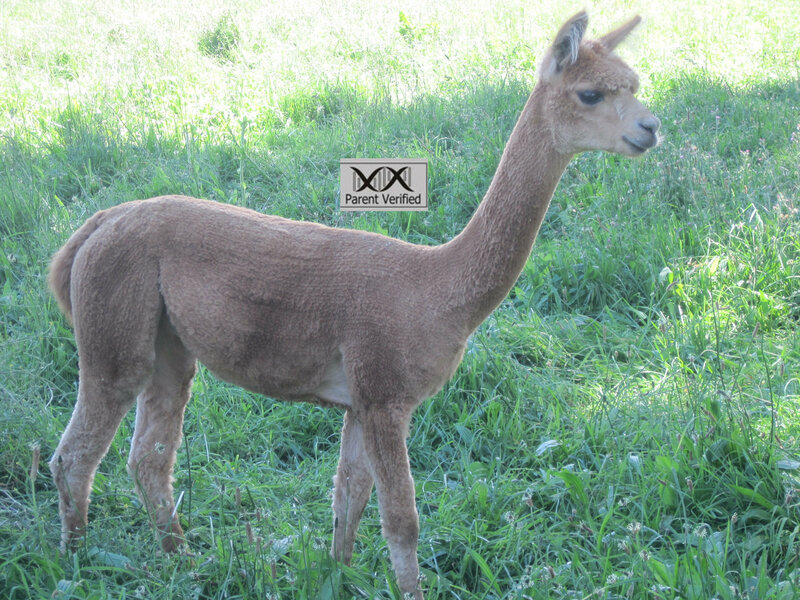 She has the potential to breed grey (both silver and rose), black, brown and even fawn cria. 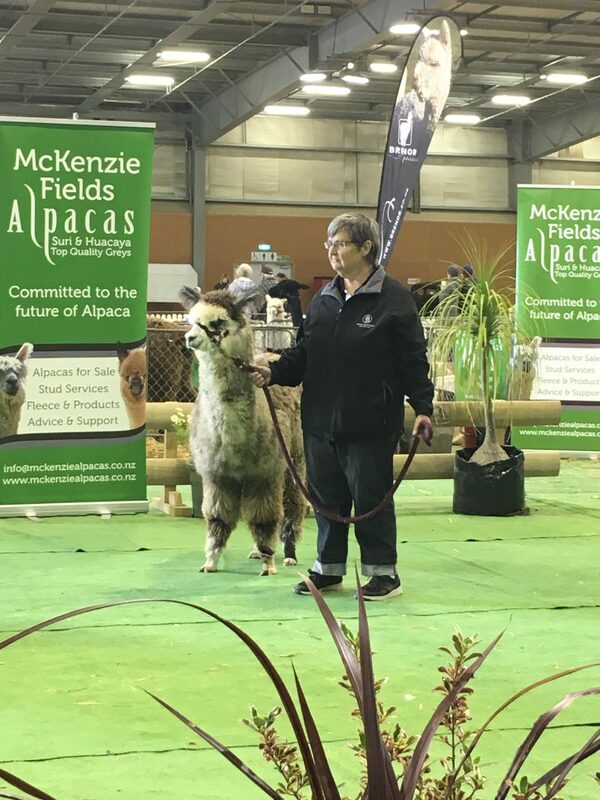 Tessa has been DNA parentage verified, so you know the wealth of quality alpacas in her pedigree adds to her value! 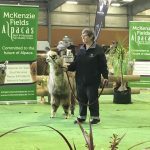 Just look at her illustrious heritage: her pedigree includes well-respected alpacas such as ILR Alpine Fibers Brutus (Imp USA), who was sired by all-time great American stud Peruvian Hemingway, Pinjarra Microsoft (sired by Purrumbete Highlander, and a grandson of Purrumbete El Dorado, both outstanding Australian sires), and ILR Pperuvian Pluro, a well known USA import to Australia. 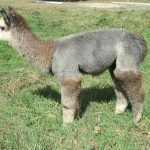 Tessa is currently being mated to our imported black male, Black Jack BT Lord Shachor ET, so you have a 50% chance of a grey cria (either rose or silver). 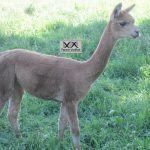 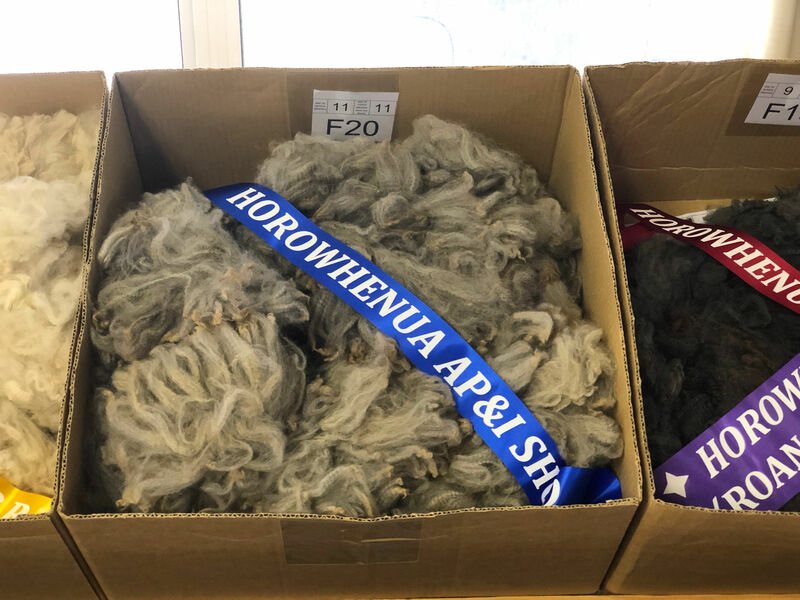 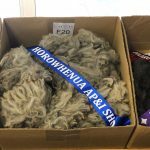 Cria will be due in Autumn 2020. 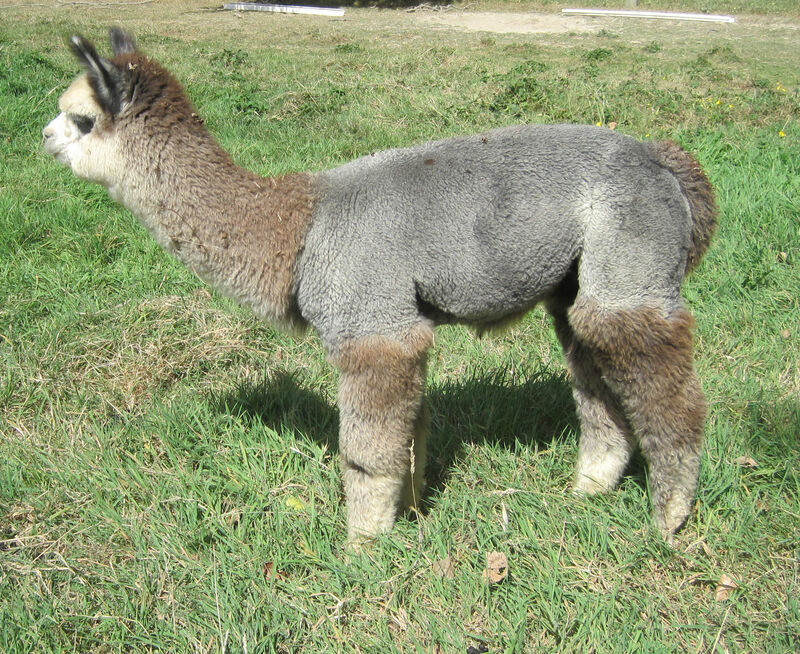 Gallery shows Tessa’s cria to date: all under 20 micron first shear.